After working with Jack Welch at General Electric for nearly a decade, Yves CONNAN has trained over 2,000 facilitators around the world and established a management style in which " Excellence and Performance " are inseparable. Yves then rounded out his professional experience by embarking on a less conventional career path in which he was frequently called upon to meet the demands of some of world’s leading senior managers. This prompted him to set up his own consultancy company offering a high facilitation expertise for CEOs and Management Teams specialized in the strategy execution. The firm offers – in addition to consulting services - the ability to implement concrete solutions geared to the level of responsibilities of CEOs of major companies, and play a SUPPORTING role. From his own experience, Yves was able to demonstrate convincingly that strategic steering managed by means of tried and tested methodologies and their habitual dashboards was wholly inadequate for the successful steering of strategy ! What he found was that senior executives actually are unsure whether they are making decisions based on the "right" information, perplexed by the spoken/unspoken behaviors of the members of their team, and often the last to hear bad news.
" The Discipline of Executing the Strategy™ ". The concept is based on methodologies capable of uniting excellence and performance on the part of people and the organization. 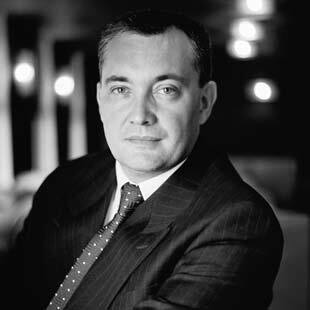 Yves Connan is the holder of an MBA awarded by ESCP Europe and a member of Who’s Who in France. For close on 20 years, he has served as President and CEO of Ka Mate Strategy SAS ; his network includes well-known CEOs of leading companies in France and abroad. What is the art of performing Haka ? " Kia korero te katoa o te tinana " *. THE WHOLE BODY SHOULD SPEAK. It is the same within your organization, Marketing, Sales, Manufacturing, Services, HR, Finance, IT, Engineering, Quality and General Management, all have their part to play in blending together to convey in their fullness the passion, energy, dream and strength expressed in your strategy. It is above all a team facing a common goal. Our approach is based on supporting you in relation to extremely sensitive topics. In this respect we guarantee an optimum level of confidentiality, which is formalized when the project is set up. This explains why we choose not to show the name of our customers on our website. Nevertheless, if you want to be in contact with one of our customers, please feel free to ask us by filling the contact form on the website or by calling us. Our inclusive approach, complemented by our contractual commitment to produce results, is in our eyes a reflection of the confidence we have in our methods and tools. The return rate we enjoy with our customers is the best measure of the added value we provide.